This midcentury home neighborhood has almost 130 homes within its boundaries. It is located within West of Midway area of Preston Hollow Neighborhood. 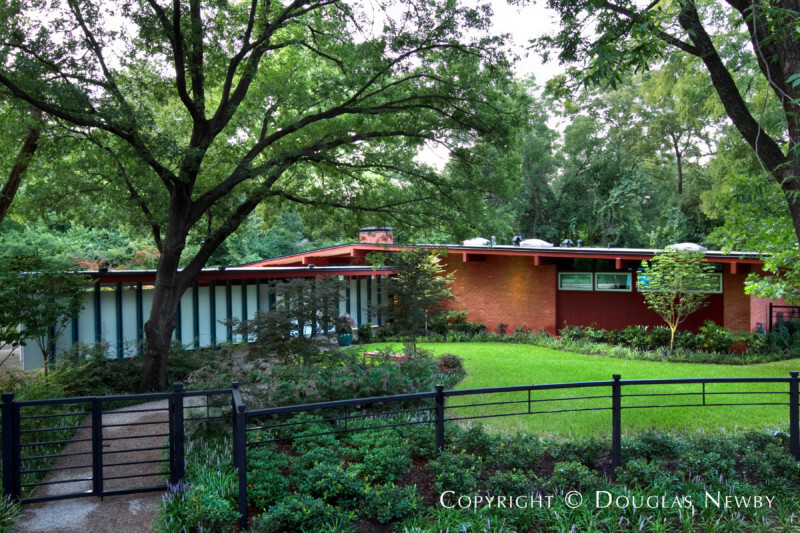 Highland North was created from the original land grant of the John Cole family where descendants built one of the finest midcentury modern homes in Dallas. John Cole's original land grant made him, along with the Caruths, the largest land owners in Dallas. The descendants took this part of their undeveloped land and selected the best site for the modern home they had designed by the esteemed modern architect Arch Swank, FAIA. Highland North exemplifies the best of midcentury production homes and midcentury modern architect designed homes. The neighborhood is bounded by the beautiful Joe's Creek on the south, Marsh Lane on the east, Ingleside Drive on the north and Cromwell Drive on the west. Across the creek is the Timberbrook midcentury home neighborhood, originally created by homebuilders Fox and Jacobs. Across from Cromwell Drive is Sparkman Club Estates, established in 1956. Sparkman Club is a private community open to residents who live within the boundaries of the neighborhood. Cities grow west and north, placing these midcentury neighborhoods West of Marsh Lane in a good position. Highland North inside West of Midway Road. Click on the map and discover each home as you explore this neighborhood.